PASADENA, Calif. — NASA’s Dawn spacecraft has returned the first close-up image after beginning its orbit around the giant asteroid Vesta. On Friday, July 15, Dawn became the first probe to enter orbit around an object in the main asteroid belt between Mars and Jupiter. Although orbit capture is complete, the approach phase will continue for about three weeks. 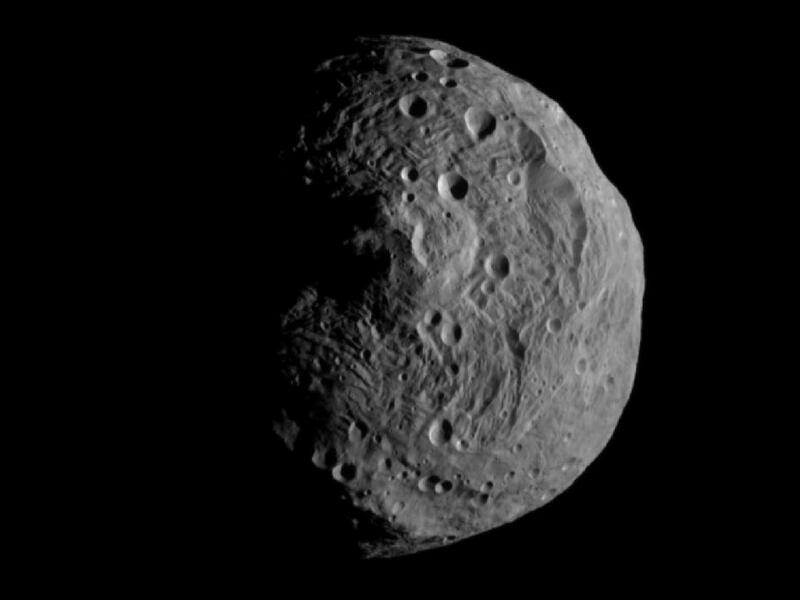 During approach, the Dawn team will continue a search for possible moons around the asteroid; obtain more images for navigation; observe Vesta’s physical properties; and obtain calibration data. This entry was posted in Uncategorized and tagged asteroid, dawn, NASA, vesta. Bookmark the permalink.